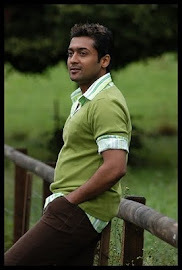 Surya has completed the shooting of his AR Murgadoss directed 7aam Arivu. Surya will soon start the work on his next movie Maatraan directed by K.V Ananad. The duo has earlier given one of Kollywood’s biggest box office hits in it history through Ayan. Maatraan is being produced by Kalpathi S. Aghoram and Harris Jayaraj is scoring music for the film. Maatraan Shooting is expected to start by 1st week of June. Also KV Anand is searching for the lead lady in the movie and hasn’t finalized any one yet. As per sources Tamanna, Tapasee, Kajal Agarwal and Deepika Padukone are in the race to pair with Surya. But it seems like Kajal Agarwal will pair up with Surya in Maatraan even though it is not officially confirmed yet.